Drink wine. Do yoga. Be happy. 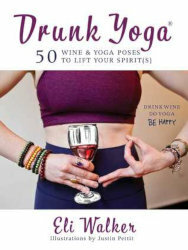 DRUNK YOGA is the OFFICIAL Drunk Yoga book by the rebel behind the viral phenomenon! Drink wine. Do yoga. Be happy!